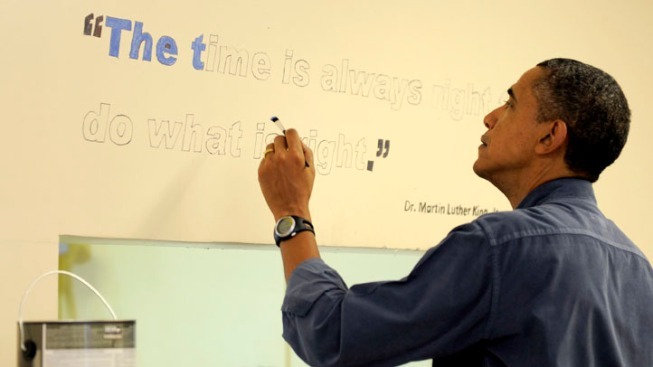 President Barack Obama paints a quote (" The time is always right to do what is right ") from Martin Luther King, Jr as he joins volunteers in participating in a service project on the Martin Luther King Jr national holiday at the Browne Education Center January 16, 2012 in Washington, DC. The project was in memory of the legacy of community service, promoted by the late civil rights leader, who was assassinated in 1968. 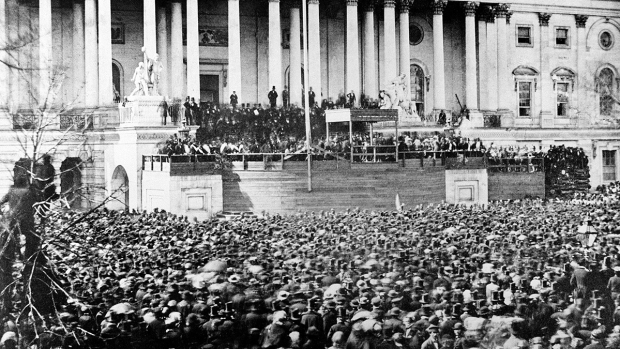 On the brink of a second term, President Barack Obama invoked Martin Luther King Jr.'s commitment to service Saturday as inauguration-goers flocked to the capital city for a distinctly American celebration including an oath-taking as old as the republic, a splashy parade and partying enough to last four years. "I think we're on the cusp of some really great things," Vice President Joe Biden predicted for a country still recovering from a deep recession. "There were people who said they'd never vote for an African-American president," the 58-year-old lawyer said. "Now they've voted for him twice, and he won the popular vote and the electoral vote. That says something about his policies and his team." "And the country," added Cherry's wife, Donna. Said Erika Goergen, from the Midwest and attending college locally: "It's amazing to be here right now." Officials estimated that as many as 800,000 people will attend Monday's public ceremonies. That's more than live in the city, if far fewer than the 1.8 million who were at Obama's first inauguration in 2009. "We think about not so much the inauguration, but we think about this is Dr. King's birthday we're going to be celebrating this weekend," the president said. "He said everybody wants to be first, everybody wants to be a drum major. 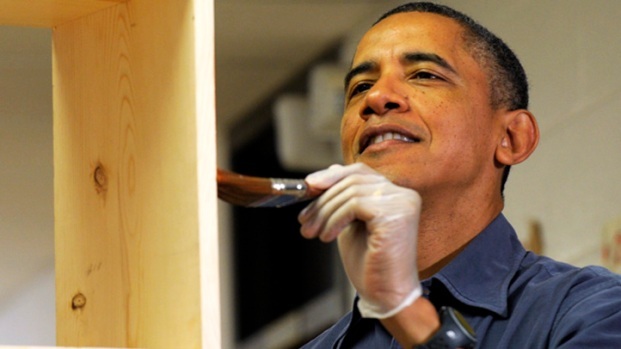 But if you're going to be a drum major, be a drum major for service, be a drum major for justice, be a drum major for looking out for other people," Obama said of the civil rights leader whose birthday is celebrated as a national holiday on Monday. Michelle Obama said the National Day of Service should be a symbol of the kind of work that needs to be done for the next four years and beyond, according to NBC News. “For all the young people and we’ve got a lot of young people…we’re passing the baton onto you all, so the goal is that as you make your way through life, who are you pulling up behind you? And as long as you’re pulling somebody up behind you you’re doing the right thing,” said the first lady. Thousands of volunteers in all 50 states were taking part in the National Day of Service this year, according to NBC News. In Washington, D.C., volunteers prepared more than 10,000 care packages for soldiers, veterans and first responders. Along the Jersey Shore and in coastal areas of New York City hundreds of volunteers have gathered to clean out hard-hit neighborhoods, parks, beaches and waterways damaged by Superstorm Sandy. More than 2,500 people representing 22 organizations took part in the simultaneous cleanups that took place at 30 locations, according to Clean Ocean Action. In California, volunteers will distribute food and winter coats to the homeless. In Chicago, service members will gather at Navy Pier to write letters and assemble care packages for service members overseas. And in Oklahoma, sixty-two AmeriCorps members will travel to a neighborhood once segregated by Jim Crow laws to repair homes for low-income families, NBC News reported. At the outset of a second term, he also wants Congress to overhaul the nation's immigration laws and take steps to reduce gun violence in the wake of the shooting last month in Newtown., Conn., that left 20 elementary school children dead. Former first daughter Chelsea Clinton headlined a National Day of Service gathering under a tent on the National Mall, where she said she had been inspired by her grandmother, as well as her famous parents. She urged her audience to become part of a "chain of service" by helping the less fortunate. Also participating in the day's events were celebrities, musicians and television personalities, including Ben Folds, Star Jones and Eva Longoria. "We've had too much of the coarsening of our culture," Biden said. "We've got to get back to reaching out to people." Biden credited former President George H. W. Bush, a Republican, for starting the "Points of Light" program, which was a sponsor of the event. He said service was an antidote to "the coarsening of our culture. We've got to get back to reaching out to people." 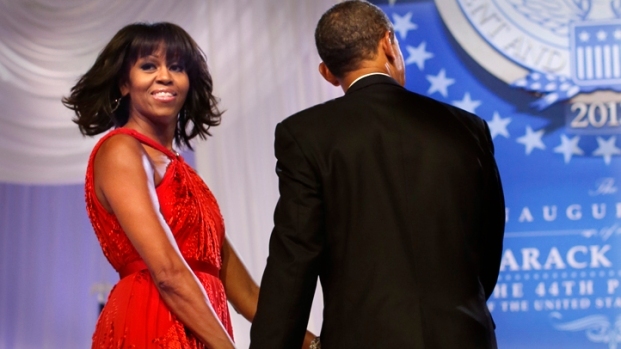 In the evening, Mrs. Obama and Mrs. Biden were hosted the Kids' Inaugural Concert, an event paying special tribute to military spouses and children. Pop star Usher started off the proceedings with his hit song "Yeah." The concert is chock-full of A-list talent, including Katy Perry, Mindless Behavior and members of the cast of the Fox series "Glee." The concert continues a tradition started at the 2009 inauguration by honoring the nation's military families.